Author: Harry Stroomer. Series edited by: Harry Stroomer. 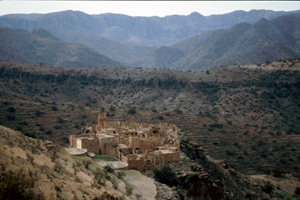 As a completion of the second and fifth volume of the Berber Studies series, which already introduced different folktales of the Tashelhiyt, the author of the present volume presents 55 Tashelhiyt Berber texts, originated from the Ida u Tanan region, north of the city of Agadir in the south of Morocco. The original texts are taken from three different text collections. Most of the texts (42 of 55) were recorded by Jacques Louis Epron in the late thirties and early forties of the twentieth century. Nine texts are taken from a text collection of Pieter Reesink, published in the nineteen seventies. The four most recent texts were collected by Khadija Azalam in 2003–2004. Epron intensively corresponded with Arsène Roux (1893–1971), whom he sent a lot of his material. Roux copied the texts very carefully and revised the original transcriptions. As a result, two different versions of the texts exist today – the original one and the newly transcribed text by Arsène Roux. To illustrate the linguistic and textual differences there are represented some facsimile reproductions of the handwritten originals and type-written copies in this volume. One part of the text collection can be labelled as ethnographic. The other part of the texts consists of different literary genres as folktales, fables, fairy tales, songs and riddles which relate to religious and moral values. The texts were retranscribed by the author in cooperation with native speakers and were by these means converted into a phonologically and morphologically homogeneous modern form which was finally translated into English. They can be used as reading material and as a basis for further linguistic analysis, but are also of interest for anthropologists and researchers of oral literature. 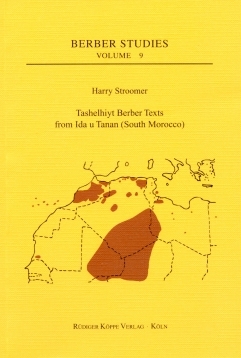 This edition supplements other very solid editions of Tashelhiyt texts by Harry Stroomer [...] which are a great achievement and provide us with a wealth of linguistic and cultural data.